A 2014 Ferrari LaFerrari was the top result at the Mecum Monterey 2017 auction followed by a 2010 Koenigsegg CCXR Trevita. A red 2014 Ferrari LaFerrari sold for $3,450,000 (hammer price) as the most-expensive car sold at the Mecum Monterey 2017 collector car auction in California, USA. 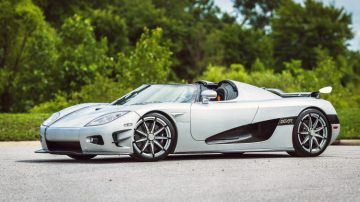 The second highest result was $2,600,000 for a 2010 Koenigsegg CCXR Trevita while a 2015 Bugatti Veyron Grand Sport Vitesse sold for a strong $2,350,000. Mecum sold seven cars for over a million dollar (with premium) including another million-dollar result for a Porsche Carrera GT. Mecum’s Monterey collector car auction was held from 16 to 19 August 2017 at the Hyatt Regency Monterey Hotel and Spa – Del Monte Golf Course in Monterey, California, USA. In addition to motorcycles, boats and road art, Mecum offered over 600 cars – more than Bonhams, Gooding and RM Sotheby’s combined during the Monterey 2017 classic car week. Note: Mecum publishes only hammer prices. Adding 10% will make the results comparable with other auction houses although the actual premium charged may vary. Mecum’s top result at the Monterey 2017 sale was for a LaFerrari but not for the most-expensive LaFerrari in the auction. 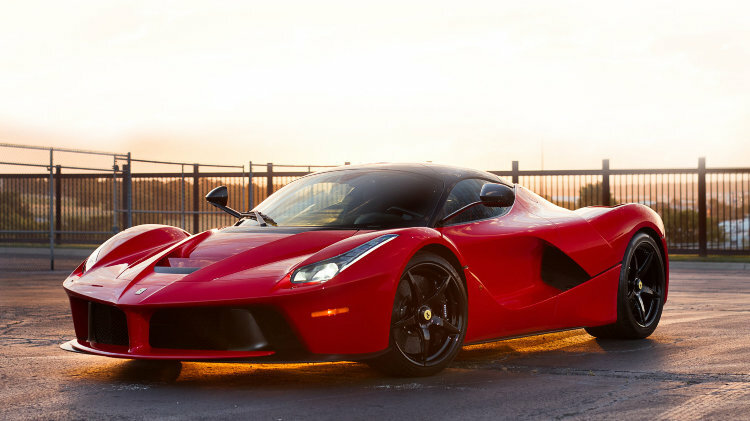 A red 2014 Ferrari LaFerrari sold for $3,450,000 (hammer price). This car has covered 566 miles and entered the auction with a “call for estimate” rating. The price paid was the second highest ever paid for a used LaFerrari at public auction – Mecum sold a LaFerrari at Monterey 2016 for just over $5 million. The white, 209-mile 2015 Ferrari LaFerrari (estimate $4,500,000 – $4,700,000) received a higher but unsuccessful bid of $4,000,000. A 2010 Koenigsegg CCXR Trevita sold for $2,600,000 (hammer price), as the second highest price paid for a car at the 2017 Mecum Monterey car auctions. This rare supercar is one of only two ever built and the only one completed in US specification. Boxing champion Floyd Mayweather was one of the previous owners. The car has covered only 1,947 miles since new. A 2015 Bugatti Veyron Grand Sport Vitesse sold for $2,350,000 (hammer) as the third highest result at the Mecum Monterey 2017 sale. This was the best result for a Bugatti Veyron for at least two years. This Grand Sport Vitesse is one of only 150 built and one of the last delivered to the USA. It is finished in black with orange accents. 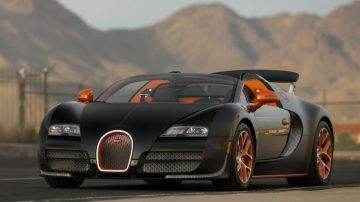 A more “standard” 2008 Bugatti Veyron 16.4 failed to sell with a highest bid of $900,000. Mecum had another good result with a nearly new Ferrari when a bright yellow 2017 Ferrari F12tdf with only 84 miles on the clock sold for $1,375,000 – certainly a model record. Mecum surprised the auction world when selling a Porsche Carrera GT for over a million dollar at the Monterey 2015 auctions. And then did it again at Monterey 2016. And then repeated it at Monterey 2017 when a 2004 Porsche Carrera GT with only 25 miles on the clock sold for $985,000 (hammer). At least 30 Porsche Carrera GT cars were offered at public auction in 2016 and thus far in 2017 but Mecum remains the only auction house with million dollar results (premium included). A second Porsche Carrera GT in the Mecum auction failed to sell with a creditable highest bid of $575,000. A 1965 Shelby 289 Cobra Roadster sold for $950,000 (hammer) at the Mecum classic car auction in Monterey. A 1988 Porsche 959 Komfort sold for $950,000 (hammer) at the Mecum Monterey 2017 sale. Prices for 959 Komfort models have been around a million dollar at recent auctions with several failing to reach reserve levels. The highest bid at the Mecum Monterey 2017 auction was the unsuccessful $4,000,000 for a 2015 Ferrari LaFerrari. Several other cars, including the Enzo and McLaren P1 had bids very close to the reserves. The 1971 Ferrari 365 GTB/4 Daytona could have been a rare million-dollar Daytona berlinetta but the highest bid was still some way off the estimate despite the cars racing provenance. Bidding for the 1989 Daytona 24 Hour race-winning 1989 Porsche 962, chassis 108C-2, stopped at $2 million. The valuation of this Porsche is trending downwards – it failed to sell with a $2.3 million bid at the Mecum Kissimmee 2016 sale.